WAREHAM, Mass – Southcoast Health announced today that cardiologist Ashwini Sahni, MD, has joined Southcoast Cardiology, one of the largest cardiology networks in the region with an experienced team of more than 30 cardiologists from Warwick, R.I. to Wareham, Mass. 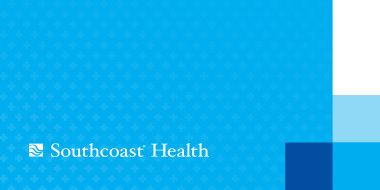 Dr. Sahni will see patients at Southcoast Cardiology, 100 Rosebrook Way in Wareham. Dr. Sahni attended BJ Medical College in Pune, India, and furthered his education by earning his masters of science in biomedical engineering at the University of Memphis in Tennessee. He completed a residency in internal medicine at Coney Island Hospital in Brooklyn, N.Y., where he became the chief resident. He also completed fellowships in cardiovascular disease at Maimonides Medical Center, and worked as a cardiologist at Omni Healthcare, Lee Memorial Health System and Cape Cod Hospital. Dr. Sahni is board certified in internal medicine, cardiovascular disease, and nuclear cardiology. His clinical interests include nuclear cardiology, irregular heart rhythms, preventative cardiology, cholesterol management, critical care management, and all noninvasive hospital-based procedures, consultations, and management of cardiovascular disease. Dr. Sahni is fluent in English, Hindi, Urdu, Punjabi and Marathi. Call 508-273-4950 to schedule an appointment.